The toolkit for app developers aiming to integrate VeryPDF's Highly Compression Technology into their own apps. Turn images into minimally-sized PDF files within the app while ensuring excellent image quality. Mobile Compression SDK integrates easily into a range of environments including C++, iOS Objective-C and Android Java. A scanned full-color, single-page A4 PDF created with the Mobile Compression SDK will take up 40kB of storage space or less. A similar quality JPEG would easily take up ten times the space or more. Thanks to a simplified interface in comparison with the standard VeryPDF PDF SDK, as well as clear, comprehensible documentation, development times are kept as short as possible. 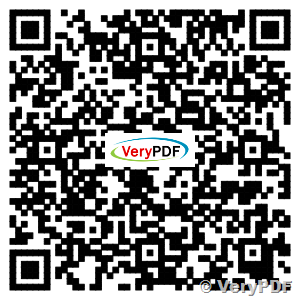 The VeryPDF Mobile Compression SDK offers industry-leading document compression based on international standards. Produce guaranteed regulations-compliant PDF or PDF/A files. Access to experts: at VeryPDF you have a direct line to the developers, who will answer your questions and assist with implementation. No ticket, no call center, just solutions-focused advice. We're only happy if our customers are happy. If you wish to purchase VeryPDF Source Code License for Mobile Compression SDK for iPhone and iPad, please don't hesitate to contact us at http://support.verypdf.com ticket system. This entry was posted in iOS & iPhone & iPad, VeryPDF SDK & COM and tagged ios pdf, ipad pdf, iphone pdf, PDF Compressor. Bookmark the permalink.